As the fresh new year of 2019 approaches, many of us are busily thinking up and writing down new year’s resolutions. I must admit that I do that too! Before you do that though, I encourage you to make a list of all the ways that you are blessed and the goals that you achieved in 2018. Thinking about and writing down all the good things in your life will focus your attention on the positive and bring more joy into your life. As you then plan out your resolutions for the new year, you will have more determination to accomplish them! You have many blessings to thank God for and have achieved many of your goals. Be joyous in 2019! During All the Gift Giving and Receiving This Christmas, Please Remember the Greatest Gift of All! While we are all busy giving and receiving gifts this year, we can easily get caught up in the material aspect of Christmas. As Christians though, it is critical that we remember and celebrate the greatest gift that was ever given to us. God gave His only Son to us as a special gift! The scripture verse at 2 Corinthians 9:15 succinctly sums up the reason for the season. Whether your child has an illness or injury, or the babysitter could not make it, taking unexpected time off from work can be tricky. When both parents work, this can cause unnecessary tension because of arguments about who is going to stay home and take care of the child. To prevent this from happening, it is very important to develop a plan ahead of time with your spouse about unanticipated “at home” days. One important consideration is who has the most flexible schedule on any given day. It may be that an arrangement can be worked out where both parents divide the caretaking day in half. If one spouse has mostly morning meetings and the other spouse has them in the afternoon, you can both work around your schedules. My late husband and I did this. His schedule was generally more flexible than mine, since as a lawyer, my schedule could be extremely busy. We worked it out though between us, always keeping our focus on what was best for our children. Compromise is very important as it reduces the parents’ stress levels and aids in flexible decision making, which of course, leaves more time for you both to focus on your child who needs you. Speak to your office manager or human services representative ahead of time about the protocol for working from home or having children in the workplace. Many companies allow a parent to work from home if he is unable to come to the office and some allow children to be in the office under special circumstances. If you and your spouse are not able to do any of the above, research alternatives. Often retired relatives or friends will assist for a short while. What is critical is that you do not wait until you need assistance to find a solution. "An optimist stays up until midnight to see the New Year in. A pessimist stays up to make sure the old year leaves." 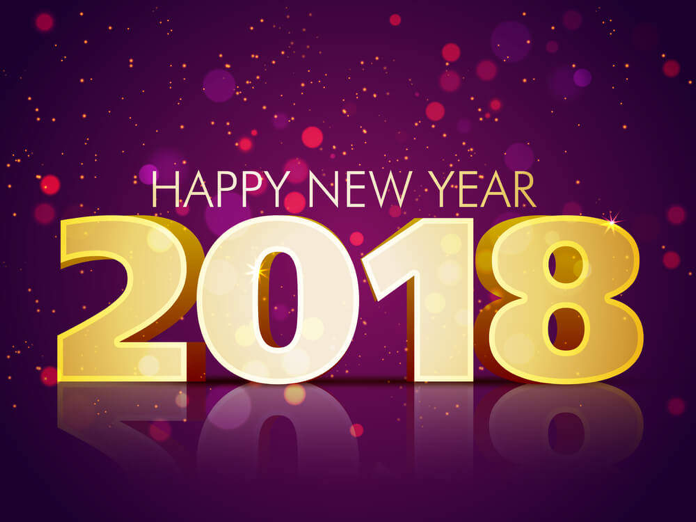 As you enter into the new year of 2018 and leave the old year behind, are you an optimist or a pessimist? As Christians, our hope is in God and we must be optimists! Philippians 4:8 states: “And now, dear brothers and sisters, one final thing. Fix your thoughts on what is true, and honorable, and right, and pure, and lovely, and admirable. Think about things that are excellent and worthy of praise.” (New Living Translation). As we focus our thoughts on all that this verse says we should, we hold firm to the promise that all will be well with us, not because of who we are ourselves, but who we have our faith and confidence in. Our lives are not our own – we were bought with a price. Have confidence that God continues to order our steps. “I know, LORD, that our lives are not our own. We are not able to plan our own course.” Jeremiah 10:23 (New Living Translation). I pray that you will receive your heart’s desires this year as you put Him first and foremost in your life. Dream big and grow in faith because He is a God of big dreams! Happy new year! Merry Christmas from my family to yours! As we celebrate the birth of our Lord and Savior Jesus, it’s important to remember that He was the light of this world. When Jesus was born, the wise men saw His bright star and followed it from the east to find Him. Matthew 2:2. Then, when they were in Bethlehem, they continued to follow the star and it led them directly to the house were Jesus lived. Matthew 2:9. God is light and as His children, He passed that light down to us. God does not want us to hide the light He gave us - He wants it to shine brightly, as a star, in and through us. He wants us to display His light in ways that are pleasing unto Him. Consider using your gifts to serve the Lord and shine brightly. God has blessed each one of us with our own unique talents and abilities, but it is up to us to choose how we use them. There is no better way to be a light to this world than to use your gifts to honor Him. If your talent is singing, join a church choir or sing songs that give glory to the Lord. If you are a writer, write creative and informative books or stories or other written works based on biblical themes, characters and histories. There is so much that you can do! Being a light in the world also involves volunteering to assist those who are less fortunate, and I have written about that before. 1 Peter 4:10 states, “Each one should use whatever gift he has received to serve others, faithfully administering God’s grace in its various forms.” Our gifts were bestowed upon us to be a blessing to others in the same way that God has blessed us. Passing on His graces and mercies is the ultimate expression of His love for us and what He continues to do in and for us. God’s light is life and we should use the life He gave us to light up the world - as He intended it. And, just as the wise men followed that bright star to find Jesus, others will follow us to Him. Should My Children Have A Pet? Parents are thinking about purchasing those ubiquitous Christmas gifts and often high on the list is a pet for their children. Of course, children love the idea of owning a pet. Who would not want small, fluffy (or scaly) creatures to show them unconditional love at all times? But pets can be much more than that. In fact, studies have shown that pets can be catalysts for your children’s increased well-being. Whether a dog, cat, lizard or bird, pets can provide their owners with countless benefits - especially children. Here are a few great things that these wonderful creatures bring into our lives. 1. They Teach Companionship. I think philosopher Martin Buber put it best when he said, "an animal's eyes have the power to speak a great language." Though they do not speak the same language or have the same mannerisms that we do, our furry friends somehow understand us enough to show us love when we want it and comfort when we need it. In addition, they teach responsibility. They show children that to love something also means to take care of it - to feed and nurture it. From a large dog to a small fish, taking care of pets requires a lot of work. Exposing children to caretaking at a young age develops many critical skills for the future. 2. Bye-Bye Allergies! Studies have shown that children who grow up with cats and dogs are less like to be sick compared to other children their age, and they are also less likely to develop pet-related allergies. Being exposed to pet dander at an early age reduces their chances of developing these allergies by 33%, according to a study by pediatrician James E. Gern, as it strengthens their immune systems. Before you rush to get a pet though, talk with your pediatrician because it is still possible for your children to acquire allergies. 3. They Promote Activity. Animals, like dogs, need to be taken out for walks everyday - sometimes more than once a day. Doing a couple of laps around the neighborhood is nice, but you and your children can use this task as an opportunity to explore so much more and become increasingly active. Walk to the dog park and meet new people; go hiking with your pet; or have a run on the beach. Keeping active is essential for both children and adults. 4. They Make Life a Little Brighter. There is just something about the company of a pet that makes most children and adults happy. It is said that when we interact with animals, our dopamine and serotonin levels increase. In other words, the happy hormones in our brains are released! 5. They are Learning Companions! Parents oftentimes find their children doing homework with or reading to their pets. This is because there is no judgement with pets. The comfort that they provide creates a safe space for children when doing academic tasks (or any task they may not be confident in). Above all these benefits, the best thing a pet has been known to provide is the strengthened bond between family members. They bring out the spirits of love and cooperation in people. So, if your children ever ask for a pet this Christmas, please keep these points in mind when making your decision. Hopefully, it ends in adding a new member to the family under the Christmas tree! 1. Reading. Bring some of your children’s favorite books on board. You can read them to your children or let them read the books themselves. If your child is a fast (or indecisive) reader, it may be best to have a digital version of several books on a tablet or E-reader so they have options from which to choose. Pop up books are especially entertaining for toddlers, but for smaller children, hard back books and pages are better! 2. Crafts. Crafts can get fairly messy and many are not appropriate for planes, but one that has garnered a lot of popularity is sticker art. All you will need is a book of stickers and another book with blank paper. Or, there are books with both stickers and blank sheets of paper together- how convenient! Your children will definitely enjoy making their own creations with the stickers. In fact, you can encourage them to even leave a little decorative art piece for the crew. 3. Movies. This is one of the easiest and hassle-free ways to pass the time. Watching their favorite movie - or a brand new one - will keep your little ones entertained for an hour or two. There are children’s portable DVD players as well as small laptops that can be accompanied with headphones. You can also search beforehand for episodes of their favorite TV shows and download them. My sons would often watch the same shows over and over again. 4. Doodling. A nice alternative to a bunch of crayons is an Etch-A-Sketch. It allows your children to create several drawings without dropping (and having to search for) a single crayon. Bringing along their favorite snacks and drinks is also very important, as it satisfies their hunger and thirst and further prevents their ears from popping during takeoff and landing. Often, it does not matter if they ate before they get on board a plane, as children always seem to be hungry or thirsty. All parts of family travel should be enjoyable experiences for you and others. The key is to prepare beforehand. Happy travels! There are many other Bible verses, but these are extra special to me. 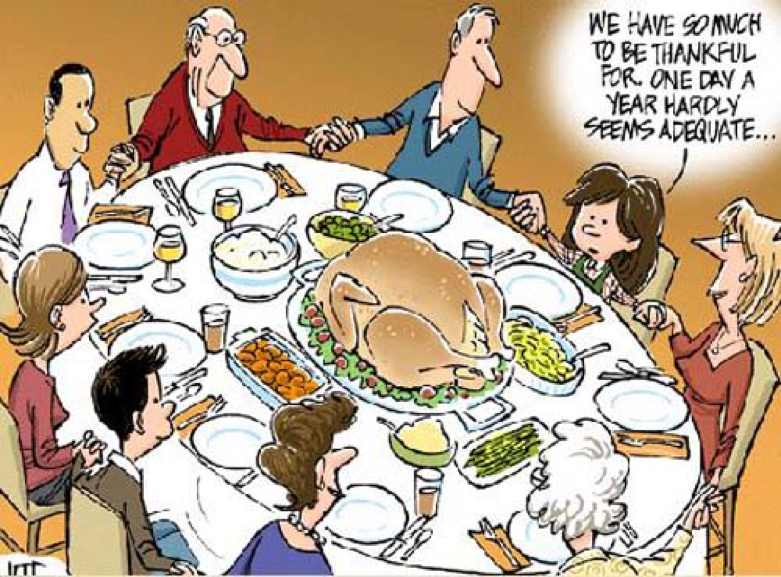 Don’t let this Thanksgiving Day be one filled with just eating, drinking and watching sports. Spend time thanking the great I Am for all He has blessed you and your family with and then remember to do it again and again each day thereafter! Halloween is coming up on Tuesday, and as Christians, it is difficult for us to see people celebrating this day when they truly do not know the true history of it and what it commemorates. 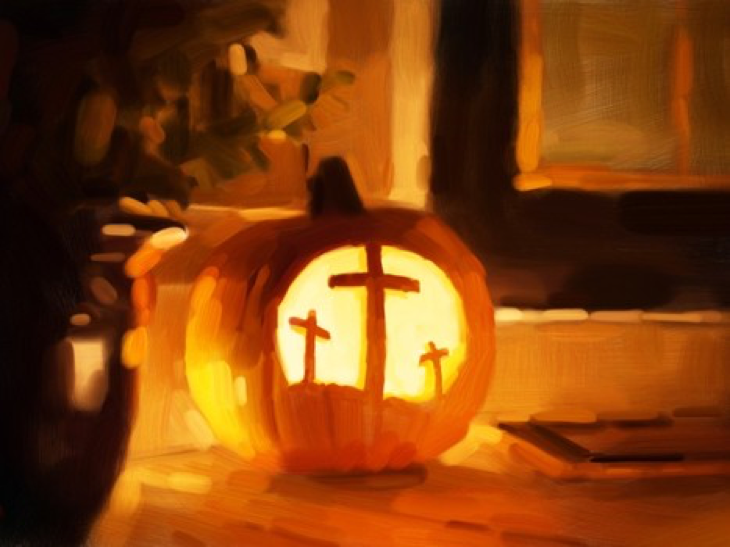 As Christians, we are not hopeless as we can fight Halloween and all it represents by using our faith. 1. Put Bible verses and phrases everywhere. On lawn posts, indoor and outdoor signs, candy, even carved into pumpkins, include Bible verses. The verses should be positive in nature and short. A verse such as 1 Peter 3:11 that says, “They must turn from evil and do good” is perfect as it is to the point. You do not have to limit yourself to Bible verses, as Bible phrases are excellent and can be just as effective. 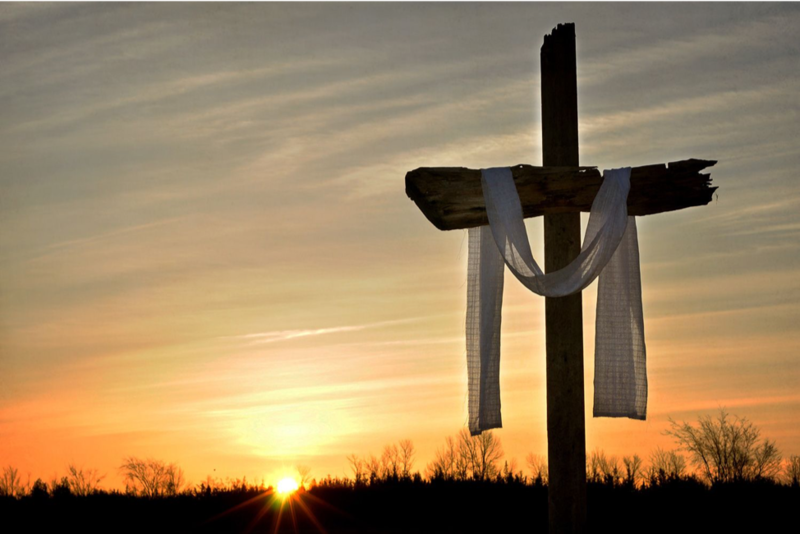 For example, you can decorate a makeshift tombstone in your yard with the phrase “He is Risen”. A tombstone is very much in the theme of the day, but the message is about the resurrection of Christ rather than an evil purpose. 2. Decorate wreathes with Christian symbols. Wreaths are popular decorations for homes. However, instead of filling your wreath with black cats and bats, fill it with crosses, doves, and olive branches. All of these are symbols of Christianity that promote the message of Christ. You can also look up more inspirational verses online and select the ones that you and children would like to share. It is important that your children do not answer the door alone. You should be there to greet everyone and your children can assist you with passing out candy and verses. By using our faith to fight Halloween, you and your children will have a lot of fun carving the pumpkins and making the decorations, all centered on the Word of God. Importantly, they will not be missing out on the fun and will learn unique ways to spread the love of God. September is Childhood Cancer Awareness Month. It was established to honor children fighting cancer and support the development of treatments. You do not have to know someone with childhood cancer to commemorate or contribute to this extremely worthwhile cause. Volunteer. 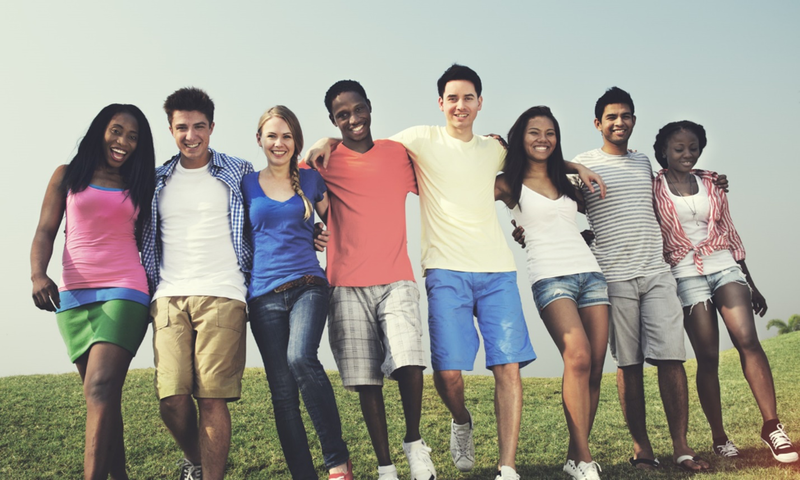 There is an abundance of volunteer opportunities to choose from and you should include your children too. If there are any children’s cancer centers or hospitals in your area, donate your time to read to the patients. Your children can bring toys to play and spend time with them too. Consider baking cookies and other sweet treats to pass out to patients, doctors, nurses, and volunteers. Showing you care by spending your time and having friendly interactions with the patients makes a loving and lasting impression on them. Donate. Consider making a monetary donation to a reputable charity, hospital or research lab that strives to benefit the lives of children with cancer. Whether you have $1 or $1,000,000, a donation is always valuable. Additionally, talk with your children about making a donation too. Emphasize the goal of the organization or hospital and explain how their donation will benefit it. By using a portion of their allowance, they can contribute to the cause and help children in need. This teaches them to become more considerate and loving of others and it gives them a sense of accomplishment knowing that their generous deed benefitted someone else. Another idea is to have a group fundraising event involving food or bake sales, car washes, or even yard sales. Help a family. If you know a family affected by childhood cancer, there are many ways to assist them. Consider calling or texting to check up on them and sending hand-written cards with friendly messages. Make decorating and writing cards a fun family event. A short message such as “Best wishes from our family to yours. We are always here if you need anything and will continue to pray for you,” can provide comfort in knowing that they are not alone. Also, volunteering to do chores such as house sitting or lawn mowing can take a lot of extra pressure off adults in the family and give them more time to focus on their loved one in need. There are so many ways and opportunities for you and your family to commemorate Childhood Cancer Awareness Month. As Christians, we are called to show our love to others, and what better way than assisting children in need. Tomorrow is the 4th of July or as Americans have come to know it as Independence Day. It is well known what this day celebrates- our hard fought independence from the British almost 250 years ago - and the many people who played key roles in the fight. We frequently think of our founding fathers as the central figures in the war. What many may not know, though, is that there were also African Americans and women who played a critical part in securing our freedom. Salem Poor is one of those people. He was born in Massachusetts as a slave, but at the age of 22, had saved up a year’s salary so that he could buy his freedom. Once freed, he enlisted in the army and this would bring him his notoriety only a year later. Poor was instrumental in the Battle of Bunker Hill- an important battle in the fight for America’s freedom- defeating several British officers and inspiring paintings commemorating the victory. Also Massachusetts-born was former slave Peter Salem. He was not only an important soldier in the Battle of Bunker Hill, but also in the entire American Revolutionary War. At the time of his recruitment, the Massachusetts Committee of Safety only recruited free African Americans. He traded his life as a slave to fight in the army. Women such as Margaret Corbin also played major roles in the war. Corbin and her husband helped in defending Fort Washington, but when he got injured, she took over, manning the canon. She did not hesitate to take it upon herself to do a job meant for two. These and many other men and women are often forgotten in history. But, do not let that happen. Teach your children about this day and all the different people who risked their lives to fight for a cause they profoundly believed in. It makes our history much more vibrant and interesting by doing so. Today is Memorial Day. It is a day that has been set aside for us to honor those who have died in the fight to serve and protect our wonderful country. While it is always fun to dust off the grill and invite friends and family over for one of the first barbeques of the season, let us not forget the important sacrifices behind this holiday. Teach your children about why Memorial Day is celebrated. If explaining the holiday in a child-friendly manner seems difficult for you, there are several articles online that you can use for assistance. Also, libraries and bookstores have many age appropriate books. Once your children understand the reasons behind the holiday, participating in activities will be more memorable and heartfelt. Children love crafts. Encourage them to make letters or cards for veterans and families of fallen soldiers. They can then deliver them to the people whom you know, to veterans’ hospitals or Veterans Affairs offices. Feel free to join in on the fun. Crafting can be a great bonding opportunity and give parents the time to address any unanswered questions about the day and any other activities that are planned. Visit monuments of fallen soldiers. Some of the most famous in the country are found in Washington D.C. However, if visiting the nation’s capital is not an option, you can always find graveyards and memorials in or around your town to visit. Carry flowers to honor the fallen. One of the most appropriate flowers used to pay homage are poppies. In the poem In Flanders’ Fields, poet John McCrae venerated the sacrifice made by those who lost their lives in service during the First World War. He wrote about poppies being in the fields. The flower has been associated with war and remembering the fallen. Explain to your children the history behind the flower and take some to a veterans’ graveyard, memorial, or even to a veteran. Go see a Memorial Day Parade. Parades can be such fun to watch. They are not only an excuse to get out of the house, but also a wonderfulopportunity for the entire family to experience a town, city or county coming together to honor and commemorate truly extraordinary people, people who have made the ultimate sacrifice for their country. Observe the National Moment of Remembrance. Since December, 2000, the National Moment of Remembrance has been set to begin at 3 p.m. wherever you are in the country. This is a time to for you to stop whatever you are doing and pay your respects. There are countless other activities that can be done today. What is important is that you participate in them together as a family and give honor to those who first honored us.